Rolling Stone‘s Rock and Roll Daily reports that She & Him, Fiona Apple and Jon Brion, Tim and Eric and others will perform songs written by 826LA students for an upcoming record called Chickens in Love. Read the story here. Preorder the disc here. Sooo, how long ’til we get Girls and Deerhoof to perform on an album of songs by 826 Valencia kids? 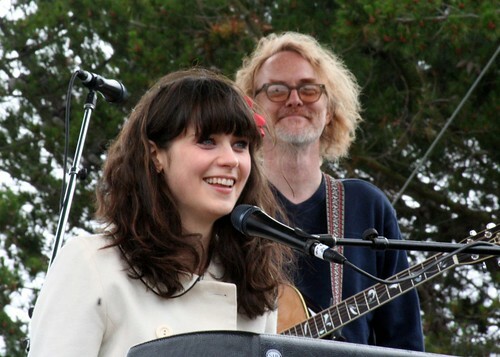 Photo of She & Him at Oysterfest 2008 by artolog. how to get the best deal i typically have used two sets for emergency lights, one 100 light string for inside and one 50 light string for outside in my service area where the vehicle (power source) and cooking operation are set up. a proactive approach proves to be highly beneficial and applicable thus avoiding the need for very expensive pest controlling methods.